I so wanted to like this book! 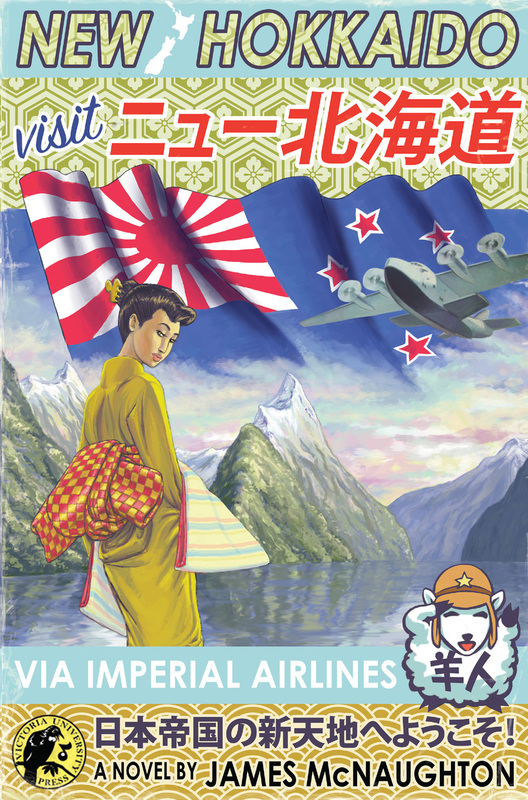 McNaughton’s debut novel New Hokkaido is set in a counterfactual New Zealand where there was no bombing of Pearl Harbour, the US did not enter the Second World War, and the Japanese invaded and colonised New Zealand and then formed the Red Sun Alliance with the USSR, which after its victory over Germany had colonised most of Europe. The book is set forty-five years after the occupation – in 1987, and the Red Sun Alliance stands in opposition to ‘free’ countries such as England, Australia and the United States. The main character is Chris Ipswitch, an English teacher at the Wellington Language Academy. This is a job of privilege, as any Kiwis lucky enough to have jobs under the oppressive regime are more usually employed as manual labourers. Chris’ position is probably due to the fame of his ex-Sumo wrestler brother, professional name “Night Train”. But Night Train has fallen into disgrace by marrying Japanese Chiyo, and even worse having a mixed race child, Sarah. Chris becomes embroiled in helping his brother whose situation goes from bad to worse, and who ends up accused of murder. In a parallel story Chris’ rugby team mates join a Free New Zealand movement bid for freedom by high jacking the Lyttleton Ferry and heading out for Australia. On his quest Chris receives encouraging messages from his hero Johnny Lennon, who came to New Zealand on a Compassion ship during the English famine of 1946, and became a revolutionary musician before dying in police custody in 1972. And he is also accompanied by the mysterious Hitomi Kurosawa, one of Chris’ students who is a ‘Settler’; a Japanese sent to New Zealand as punishment for some sort of crime in Japan. It is all great fun and an opportunity to explore colonisation and national identity. McNaughton at times cleverly describes a New Zealand culture which has unwittingly absorbed some Japanese elements, and has nice details like the Irish (who remained neutral in the war) playing a New Zealand produce trade facilitation role between the Japanese and the English. But on the whole the caricatures of the Japanese and New Zealand culture are so coarse that the novel doesn’t really go beyond the original conceit, it is possible that McNaughton is trying to say that gumboot wearing rugby players and ladies a plate Sheilas are as much a ‘nostalgic’ stereotype as samurai and geisha, but if so that wasn’t developed. The murder mystery Chris sets out to solve is unsatisfactorily concluded and the high jacking sequence not really integrated into the story. It is a pity New Hokkaido was such a good idea but a missed opportunity.